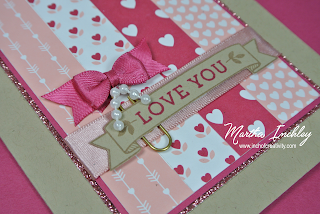 Inch of Creativity: Love Blossom Suite: Not just for Valentines. Take Two! Love Blossom Suite: Not just for Valentines. Take Two! I assure you, I haven't. I just wanted to show you again, how the Love Blossom Suite is NOT just for Valentines. REALLY! It's not! To illustrate my point, I'm going to share two cards today. 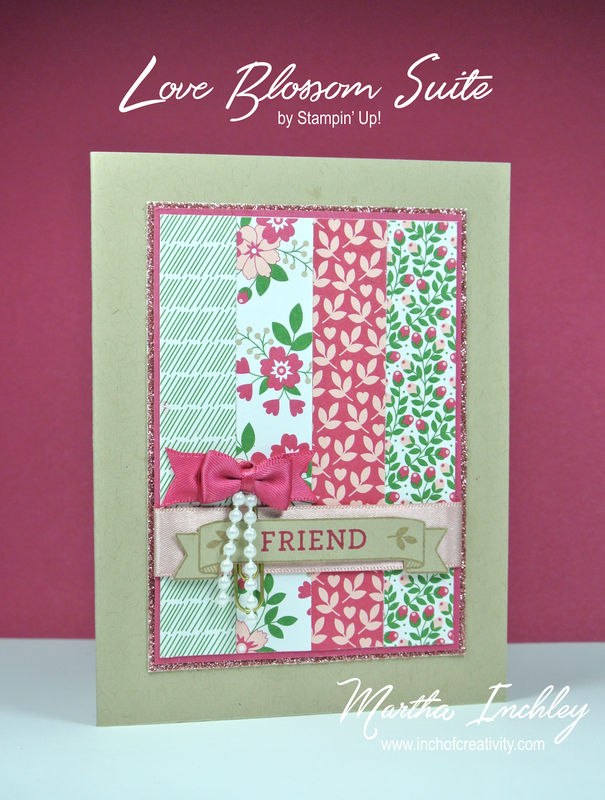 They have the same layout, use the same colour of ink and cardstock, the same stamp set, and the same embellishments. However, their themes are completely different. First up is my Valentine themed card. 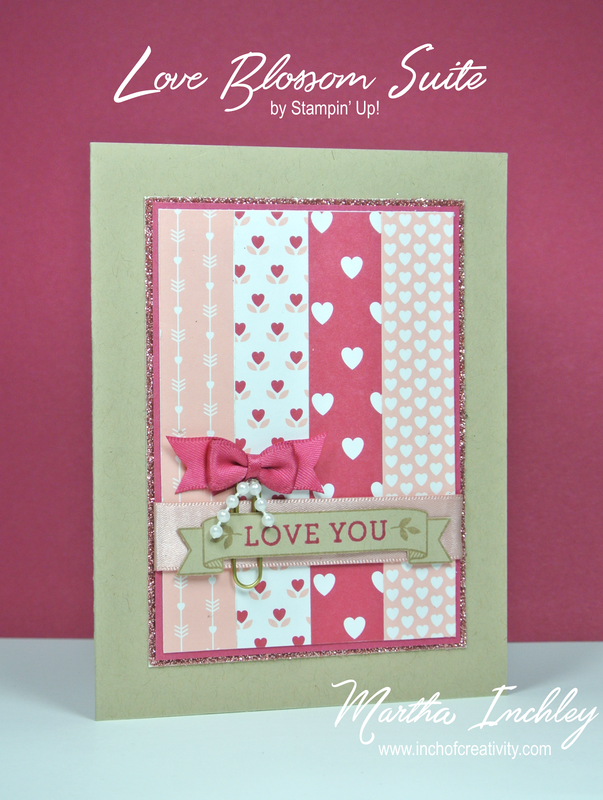 For my background I used strips of DSP from the Love Blossom DSP Stack I matted it on Rose Red cardstock and then matted it again on Blushing Bride Glimmer Paper. 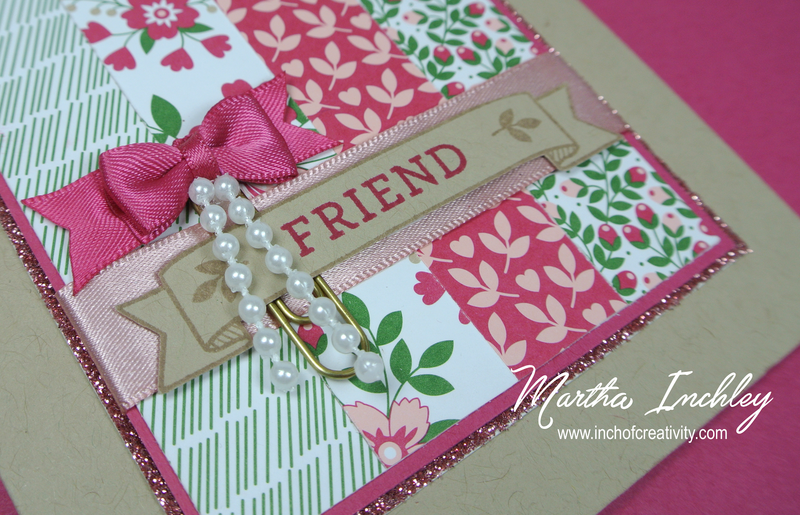 To Embellish my card, I used the Satin Ribbon, String of Pearls and a bow clip from the Love Blossom Embellishment Kit. I stamped the banner from the Bloomin' Love Stamp Set in Crumb Cake ink onto Crumb Cake cardstock and my greeting in Rose Red ink. Now... to change it up! Remember, I'm using all of the same supplies, but by choosing different DSP designs and stamping a different greeting, my card is now a spring, flowery, friend card! You see, the Love Blossom DSP Stack was designed to have Valentine specific designs on one side and a neutral/all occasion designs on the other. That way you can continue using the paper stack well after Valentine's day! How awesome is that! Well, there you have it. The Love Blossom Suite is NOT just for Valentines, So don't miss out on this awesome collection! what a beautiful cards.. i really like these... i dont live in canada otherwise i will surely want to buy this for my valentine... but no i cant! !